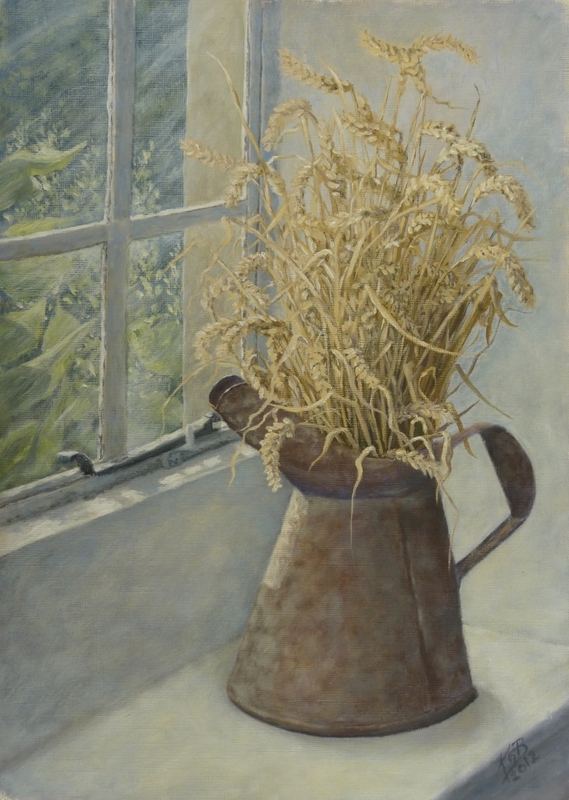 One still life of two painted in the same time period (the other is ‘Wheat’). 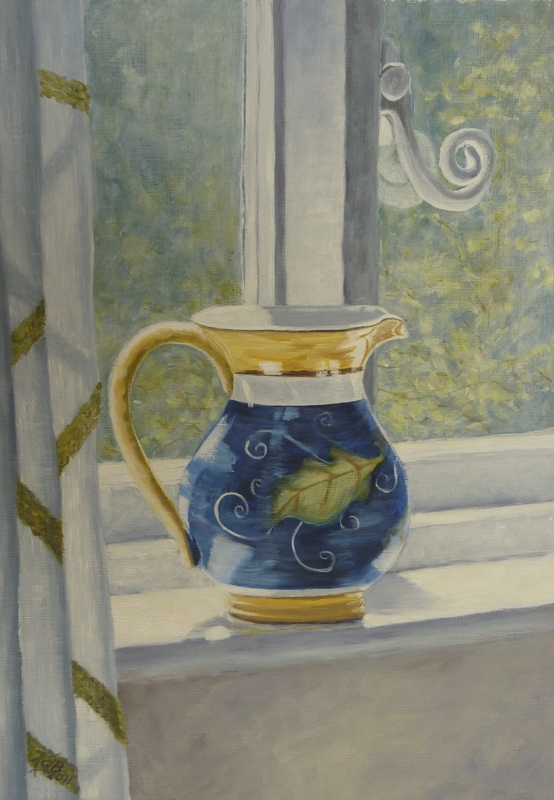 I like the echo of the curl of the window fixing in the pattern on the jug. Oil on paper. Framed. 2012. Had the Wyeths hovering around in my mind while painting this. I’m glad this is at my mother-in-law’s, because I liked the result, and also it is of a window in the house of some very dear friends, so I’m a little sentimental about it too.